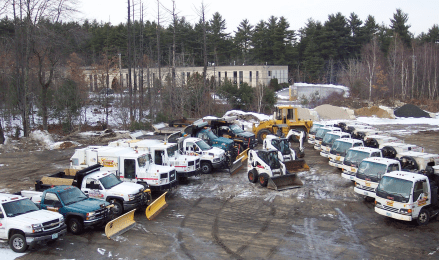 Family owned and operated Immaculate Power Sweeping, LLC has served the parking lot sweeping, street sweeping, and property maintenance needs in New Hampshire and Massachusetts since 1992. Immaculate Power Sweeping combines the region’s most extensive, efficient and modern fleet of Schwarze S-Series sweepers, XORA time track GPS database technology, and a staff of professionally trained operators to make short work of your sweeping service needs. Immaculate Power Sweeping is a member of the North American Power Sweeping Association (NAPSA), and has been frequently honored as one of the nation’s TOP 100 Sweeping Companies and as a TOP 100 Contractor by Pavement Magazine. Whether you require one-time emergency service, or nightly, weekly, monthly, or quarterly sweeping programs, Immaculate Power Sweeping offers dependable and quality sweeping service for shopping malls and strip centers, property management companies, office parks, municipalities, schools, industrial complexes, apartment communities and HOA’s, and more.